CLICK HERE for a live view of the expansion! In the past four years, the Ronald McDonald House of Rochester, Minnesota has turned away more than 4,000 families because when they called for a room, we had none available. The need for our services continues to exceed our capacity. 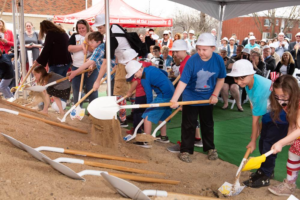 Ronald McDonald House of Rochester, Minnesota continues to move forward with an expansion of the current facility along Second Street SW. 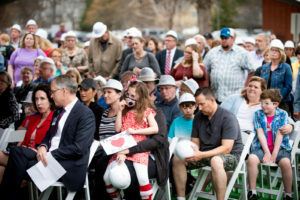 The House will grow from 42 to 70 rooms, allowing us to serve more families for years to come. Learn more about our expansion project. Learn about the various ways you can help with the expansion. Help the Ronald McDonald House serve more families for years to come. The Ronald McDonald House of Rochester, Minnesota provides a home-away-from home and offers support to families seeking medical care for their children. In 2017, The Ronald McDonald House of Rochester, Minnesota served 761 families from around the United States and the world. The House is a 501(c)(3) nonprofit organization. Governed by a volunteer board of trustees, the House hosts 42 families each night and has been in operation since 1980. Ronald McDonald House Charities® (RMHC®), a nonprofit, 501(c)(3) corporation, creates, finds and supports programs that directly improve the health and well-being of children and their families. Through its global network of nearly 290 Chapters in more than 64 countries and regions and its three core programs, the Ronald McDonald House®, the Ronald McDonald Family Room® and the Ronald McDonald Care Mobile. RMHC keeps families with sick children close to each other and the medical care their child needs at leading hospitals worldwide. RMHC programs not only provide access to quality health care, they enable family-centered care ensuring families are fully supported and actively involved in their children’s care. For more information, visit rmhc.org.